One of the most common requirements for utility-scale solar farms is the need to control runoff during rainfall events, and sometimes after construction activities. Permitting requirements generally start at the top with the U.S. Environmental Protection Agency, and specifically the National Pollutant Discharge Elimination System, or NPDES. In most cases the NPDES is administered by each state through an agency such as the Department of Environmental Quality (DEQ) for whatever state your project is in. The name of the agency may be different than having the acronymDEQ in it, so you may have to do some research. When it rains, stormwater washes over the loose soil on a construction site, along with various materials and products being stored outside. 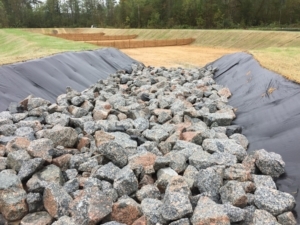 As stormwater flows over the site, it can pick up pollutants like sediment, debris, and chemicals from that loose soil and transport them to nearby storm sewer systems or directly into rivers, lakes, or coastal waters. 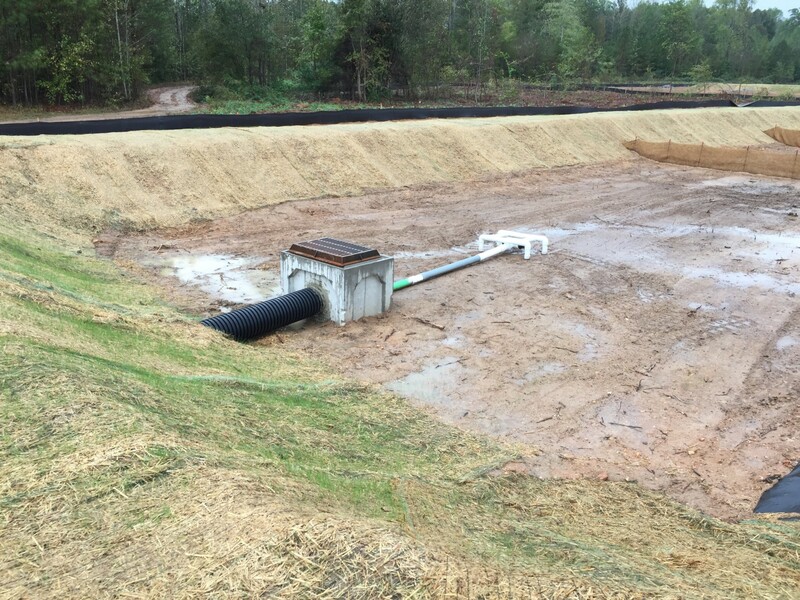 EPA works with construction site operators to make sure they have the proper stormwater controls in place so that construction can proceed in a way that protects your community’s clean water and the surrounding environment. 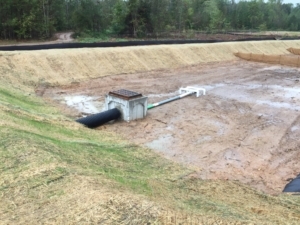 In general, the NPDES stormwater program requires permits for discharges from construction activities that disturb one or more acres, and discharges from smaller sites that are part of a larger common plan of development or sale. Depending on the location of the construction site, either the state or EPA will administer the permit. See the webpage for Authorization Status for EPA’s Construction and Industrial Stormwater Programs to find out whether EPA or your state is the permitting authority for construction activities. You can also use the “Do I Need a Permit?” flow chart to help determine if and from whom you need to get NPDES permit coverage for your construction activities. 1What is important to note is that, in general, for projects that “disturb one or more acres” of land, a permit is required. 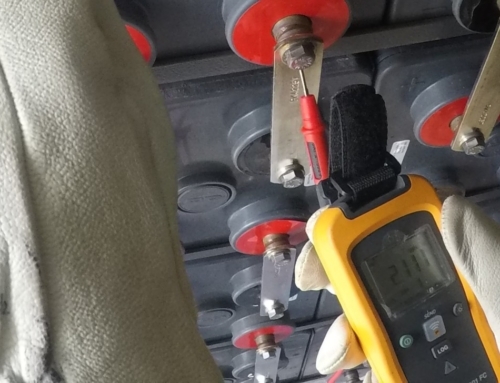 While the threshold of area disturbed may vary from state to state, the definition of “disturbed” is really what we want to pay attention to for solar projects. 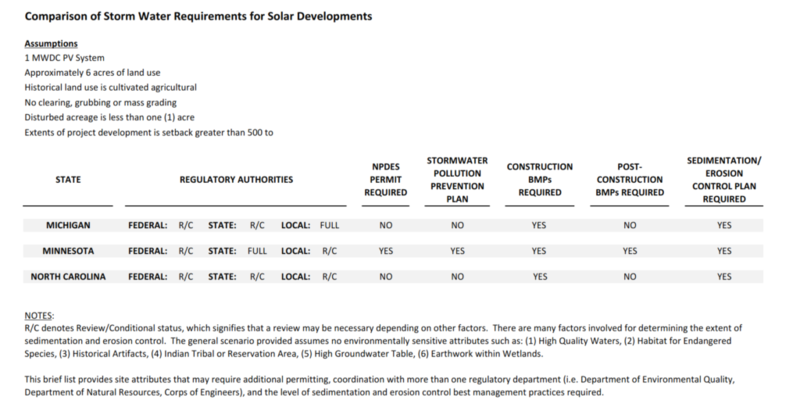 We also are interested in how each state interprets the term “impermeable” because solar arrays do add impermeable area to the ground surface, but they do concentrate runoff in a slightly different fashion than before it is installed. Why are the Definitions of Disturbed and Impermeable So Important? 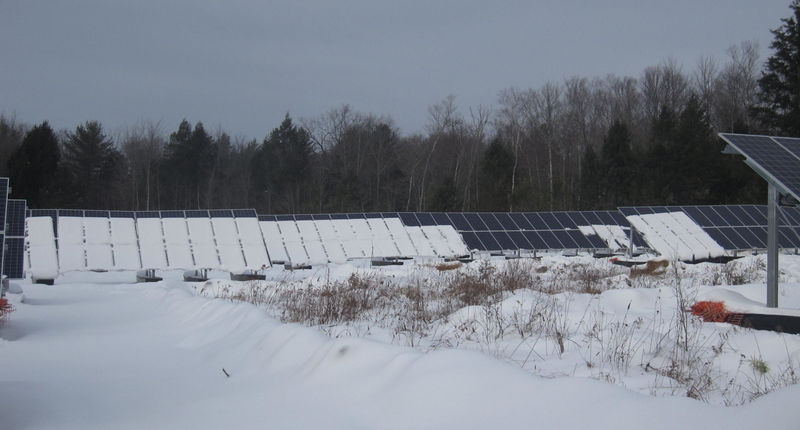 As we know, solar development is land intensive, meaning it covers large areas of land. But what is unique to solar development is that we typically try to minimize grading activities since the cost of doing so will increase the cost per watt of the system being installed. This is why solar developers look for land that is relatively flat. They don’t want to spend alot of money flattening a sloped site since the cost of doing so will usually be too costly. Therefore, most solar farms will not require much in the way of moving large quantities of dirt. This fact makes solar farms inherently less disturbing than many other construction activities. 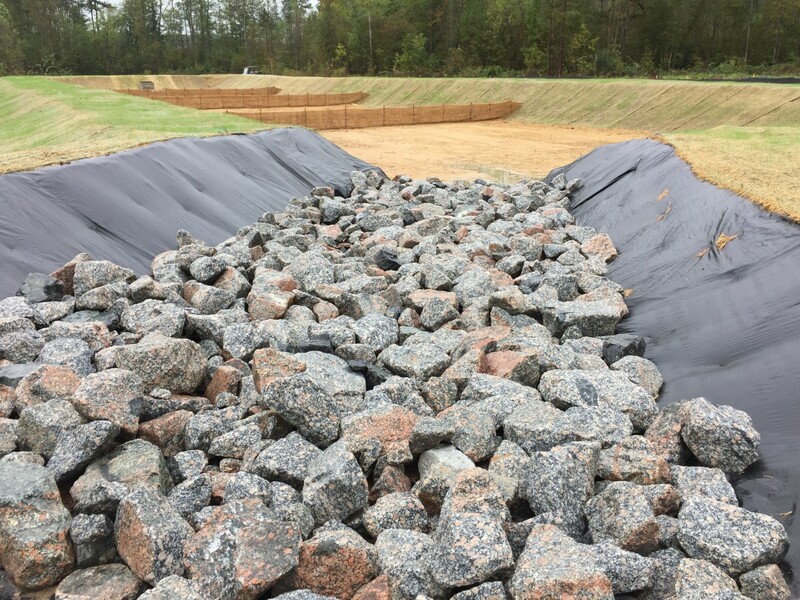 In fact, in many states the definition of disturbed area only applies to areas that are graded and graveled, such as access roads, and equipment pads, and sometimes the area disturbed when the individual racking piles are driven into the ground. The concept of “impermeable” relates to how much storm water runoff will be increased by the addition of impermeable area added to the site. As raw land is turned into, say, a parking lot, the amount of runoff will increase significantly, negatively affecting waterways downstream. As a response to the increase of runoff, detention ponds are added to the perimeters of the site to catch the water and release it at rates similar to what existed before development. 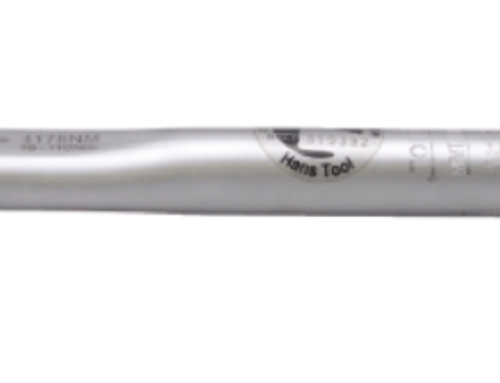 As we know, solar systems that are placed on the ground are on racks that have hundreds of small posts, or piles) that penetrate the ground. There are not large areas of impermeable area added to the ground. 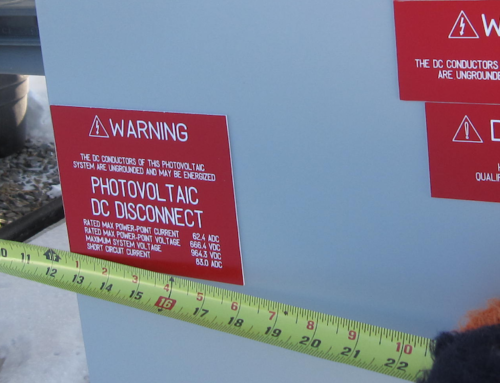 However, solar modules are impermeable, and even though they are above the ground, some states do require that some impermeable area be added above and beyond the pile areas. What is notable when comparing these three states is that permitting requirements vary from AHJ to AHJ. In Michigan you will expect to pull a full storm water permit with the local storm water jurisdiction, probably at the county level. The same scenario would probably require a permit at the state level in Minnesota, and the same development would require no permitting in North Carolina. 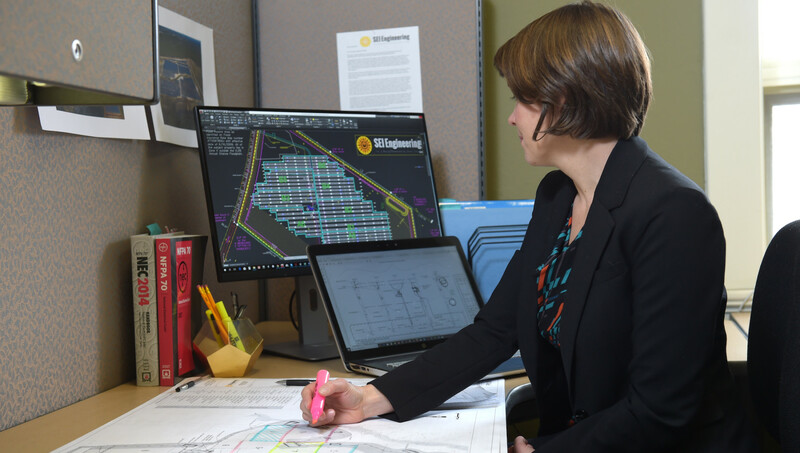 Even if no permitting is required, a storm water control plan will still be required showing BMPs when you apply for a local building permit and you may pay a fee based on the amount of disturbed area. 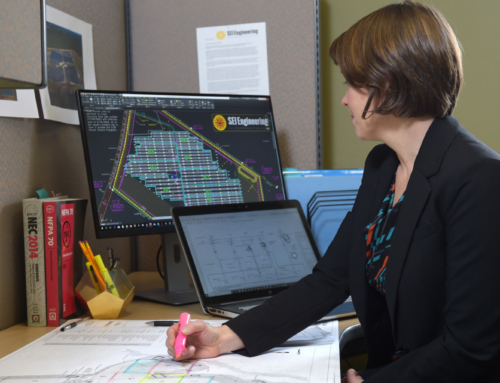 The highest level of permitting is in Minnesota because the Minnesota Pollution Control Agency (MPCA) defines solar installations as increasing impermeable area that is related to tilt angle and row spacing. The impermeable area is not actually increased, but MPCA considers the concentration of water dripping off of PV arrays as having the same effect as increasing impermeable area to some extent. What is also interesting to note is that Minnesota is the only state that will require post-construction BMPs (Best Management Practices), meaning that storm water runoff must be controlled permanently and not just during construction. This relates to the determination that a solar array will increase storm runoff as explained in the previous paragraph. We hope this sheds some light on storm water permitting. Don’t hesitate to contact SEI Professional Services if you want assistance interpreting AHJ requirements or to have us perform civil engineering services on your project.